1001201 CR24 VOLVO CR24 Asphalt compactors Ingersoll Rand Spare parts catalog. 1001202 CR30 VOLVO CR30 Asphalt compactors Ingersoll Rand Spare parts catalog. 1001203 DD112 VOLVO DD112HF Asphalt compactors Ingersoll Rand Spare parts catalog. 1001204 DD118HF/HA/HFA VOLVO DD118HF/HA/HFA Asphalt compactors Ingersoll Rand Spare parts catalog. 1001205 DD132 VOLVO DD132HF Asphalt compactors Ingersoll Rand Spare parts catalog. 1001206 DD138HF/HA/HFA VOLVO DD138HF/HA/HFA Asphalt compactors Ingersoll Rand Spare parts catalog. 1001207 DD14S VOLVO DD14S Asphalt compactors Ingersoll Rand Spare parts catalog. 1001208 DD16 VOLVO DD16 Asphalt compactors Ingersoll Rand Spare parts catalog. 1001209 DD22 VOLVO DD22 Asphalt compactors Ingersoll Rand Spare parts catalog. 1001210 DD24 VOLVO DD24 Asphalt compactors Ingersoll Rand Spare parts catalog. 1001211 DD29 VOLVO DD29 Asphalt compactors Ingersoll Rand Spare parts catalog. 1001212 DD30 VOLVO DD30 Asphalt compactors Ingersoll Rand Spare parts catalog. 1001213 DD31HF VOLVO DD31HF Asphalt compactors Ingersoll Rand Spare parts catalog. 1001214 DD38HF VOLVO DD38HF Asphalt compactors Ingersoll Rand Spare parts catalog. 1001215 DD70 VOLVO DD70, DD70HF Asphalt compactors Ingersoll Rand Spare parts catalog. 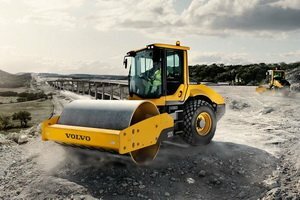 1001216 DD80 VOLVO DD80 Asphalt compactors Ingersoll Rand Spare parts catalog. 1001217 DD85 VOLVO DD85 Asphalt compactors Ingersoll Rand Spare parts catalog. 1001218 DD90 VOLVO DD90 Asphalt compactors Ingersoll Rand Spare parts catalog. 1001219 DD90,DD90HF VOLVO DD90, DD90HF Asphalt compactors Ingersoll Rand Spare parts catalog. 1001220 DD95 VOLVO DD95 Asphalt compactors Ingersoll Rand Spare parts catalog. 1001221 PT125R VOLVO PT125R Asphalt compactors Ingersoll Rand Spare parts catalog. 1001222 PT220RH VOLVO PT220RH Asphalt compactors Ingersoll Rand Spare parts catalog. 1001223 PT240RH VOLVO PT240RH Asphalt compactors Ingersoll Rand Spare parts catalog. 1001224 SD100C VOLVO SD100C Soil compactors Ingersoll Rand Spare parts catalog. 1001225 SD100D, 100F VOLVO SD100D, 100F Soil compactors Ingersoll Rand Spare parts catalog. 1001226 SD105DX, SD105F VOLVO SD105DX, SD105F Soil compactors Ingersoll Rand Spare parts catalog. 1001227 SD110 VOLVO SD110 Soil compactors Ingersoll Rand Spare parts catalog. 1001228 SD116DX VOLVO SD116DX Soil compactors Ingersoll Rand Spare parts catalog. 1001229 SD122 VOLVO SD122 Soil compactors Ingersoll Rand Spare parts catalog. 1001230 SD150 VOLVO SD150 Soil compactors Ingersoll Rand Spare parts catalog. 1001231 SD160DX VOLVO SD160DX Soil compactors Ingersoll Rand Spare parts catalog. 1001232 SD190 VOLVO SD190 Soil compactors Ingersoll Rand Spare parts catalog. 1001233 SD200 VOLVO SD200 Soil compactors Ingersoll Rand Spare parts catalog. 1001234 SD45D, SD45F VOLVO SD45D, SD45F Soil compactors Ingersoll Rand Spare parts catalog. 1001235 SD70D, SD70F VOLVO SD70D, SD70F Soil compactors Ingersoll Rand Spare parts catalog. 1001236 SD77DX, SD77F VOLVO SD77DX, SD77F Soil compactors Ingersoll Rand Spare parts catalog. 1001237 SD77DA VOLVO SD77DA Soil compactors Ingersoll Rand Spare parts catalog.